Bank of Ireland’s Lee Evans and Pierce Butler sat down to discuss Brexit and the importance of taking away any risks to your business. Bank of Ireland’s treasury manager with global markets Paul Fleming sat down with head of FX trading, Lee Evans, and Pierce Butler, head of sectors, to discuss the latest developments on Brexit. With so much uncertainty around what is going on in the UK, Bank of Ireland’s vodcast provided a timely update on what we need to be aware of ahead of the most crucial six months since Britain voted to leave the European Union. Lee Evans opened the discussion by talking about where Brexit stands at the moment. “The EU offered the UK an extension to the 31st of October and that extension is flexible. If the UK government can get the withdrawal agreement passed through the House of Commons, they will leave the EU on the first day of the following month. “There are two key points in time to keep in mind; the end of May – if the UK do not partake in the EU parliamentary elections at the end of May, then they will leave either with or without a deal on the first of June. After that, if we don’t see a deal between June and October, then the 31st of October will become the new deadline,” said Evans. 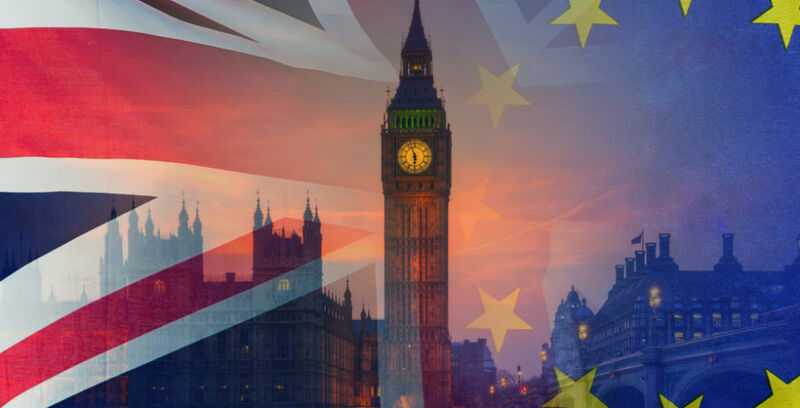 While businesses are in Ireland are crying out for clarity around what they will be faced with going forward, there was massive relief that there wasn’t a no-deal Brexit at the end of March, according to Pierce Butler. “This extension means that there is continued uncertainty as to what the final outcome will be and I think that’s unwelcomed from a business perspective,” he said. “Various different reports have shown over recent months that a number of firms are postponing their investment decisions until they get that clarity. But we have also seen a number of companies deciding to go ahead with those decisions and there’s a number of reasons behind it; in some cases they don’t see themselves being materially impacted by Brexit, or in a lot of cases, companies just aren’t in the position where they can postpone that investment until that post 2020 scenario. Our message is to come and talk to us because we are keen to support them and help them develop their business,” added Butler. In relation to the currency markets, there hasn’t been a huge reaction to Brexit. “Currency markets were expecting some kind of an extension. Euro-Sterling was trading at 86p going into it, and it’s still broadly trading around that area. To move forward, we need to see some sort of clarity for currency markets to react. “We’ve tried to engage with customers and what we have being saying since January is to try take the uncertainty and risk out of your business. We have being saying that the risks are two-sided for businesses and customers need to be aware of that,” said Evans. Bank of Ireland is supporting customers through a dedicated team of dealers who are up to speed on what is going on with Brexit. There is also a Brexit portal which gives great information and updates, which you can access here, and the bank has also increased the unsecured FX fund from €20 million to €50 million.